Songs of Eretz Poetry Review: Poem of the Day: “Juniper Tree” by Alex B.
Poem of the Day: “Juniper Tree” by Alex B. Songs of Eretz Poetry Review is pleased to present “Juniper Tree” by Alex B. The poet resides in Pittsburgh with her loving husband, silly dog, and royal hamster. Her short stories have recently appeared in The Mythic Circle and Swords and Sorcery Magazine. This is her first published poem. so you can lay them beside me. so you can lay them in my tomb. Poet’s Notes: I believe that poetry is the crying of the human spirit, so readers are free to take what they will from "Juniper Tree." 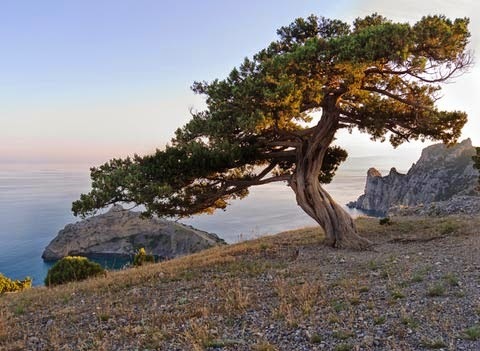 Editor’s Note: The juniper tree is symbolic of a legendary journey, filled with twists and turns, but always true to its goals and purpose--a well-chosen metaphor here. I like the simple, musical rhymes and refrains, and the sad but somehow also uplifting message.